I did this for the first time last year August. You can read it again if you like. I thought it was time for a part 2. Week 45 experienced by me with you the reader in the front seat. My last day of my holiday before I have to return to work. I enjoyed a good 3 weeks of holiday which is about to come to an end. I had the opportunity to play a lot with Aros, writing for my blog and playing a lot of classic games. Sadly from tomorrow on I would have less time for all of this. 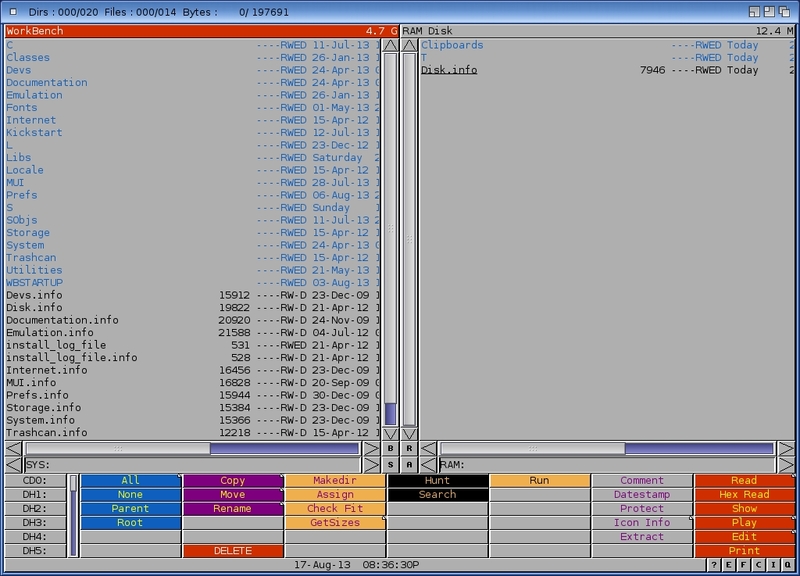 Still I am determine to do as much coding for Aros as I can. I am currently trying to get the syntax highlight to work with Annotate. There is some kind of issue with Aros which causes issues with the pen colors. So if I set certain key words in the C syntax to certain colors it will be different the next time I reboot Aros. 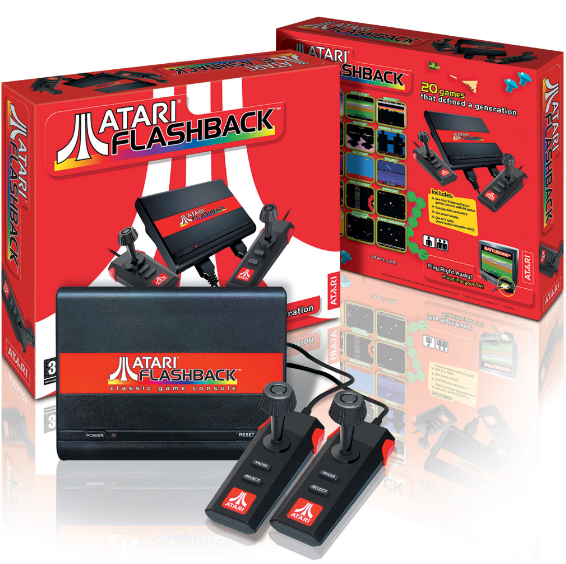 Yesterday I came across the Atari Flashback for (I think) €17,50 but since I don’t know anything about it (except for it being a modern classic Atari device to play classic games) I did not pick it up. Anyone know this was a good deal or maybe has some nice, or not so nice, stories about this device? I did see newer versions of this device on the internet. I had a few more coding attempts which was not bad. Still getting used to Zune (MUI clone) but I got to open two windows at the same time. I had some crashes at well bringing VirtualBox to a complete halt. But currently I got two windows open which will be the basis for my further attempts. Reality hits hard on your first day back at work after your holiday. What is noticeable right away is the lack of time again. I managed to have a quick peek at my e-mail and visit the Aros-Exec site around midnight. Not that I came back from work at midnight. It takes me one hour to drive to work and also (well yeah) one hour back home. Normally I am home a bit after 6:00pm. When I came back I had to hit the road with my wife for her business and we came back around 10:00pm. Still had to cook dinner so it got to be a long day. We grab something on the road of course but you want a decent dinner as well. Today I managed to catch up with the BoingsWorld podcasts. I finished both episode 32 and 33. As always great shows. It is in German so it is only for those who understand German. 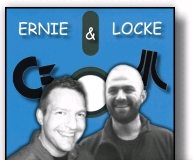 Sadly there was no Ernie & Locke in episode 33. I do hope they return in episode 34. Today was all work as I did overtime which left me with no free time at all. And that on the third day back after my holiday. It suddenly, like it was not already there, daunted on me that time is just going to be very limited for me to pursue my Amiga endeavours. 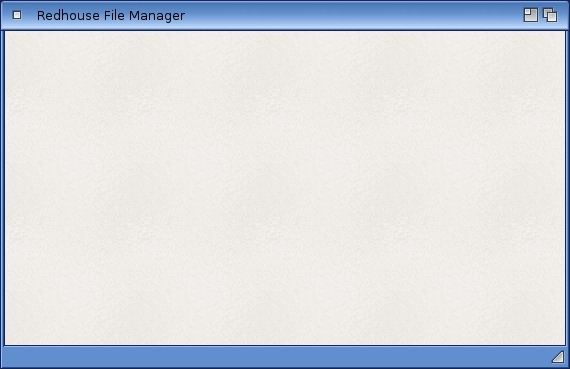 Hopefully I can find some kind of solution that will leave me with enough time to work on my Amiga stuff. Fingers crossed! Weekend! As I thought and already reported the free time was just like I thought it would be, just about none. But it was not a bad week all together. Coincidence or faith, you decide, with the first Bucket Diary style column I was talking about the new car we got. I am going to do the same in this part. We won’t have a new car this week but we kind of sealed the deal so to the speak. Hopefully it will all happen next week so we got a really cool car. 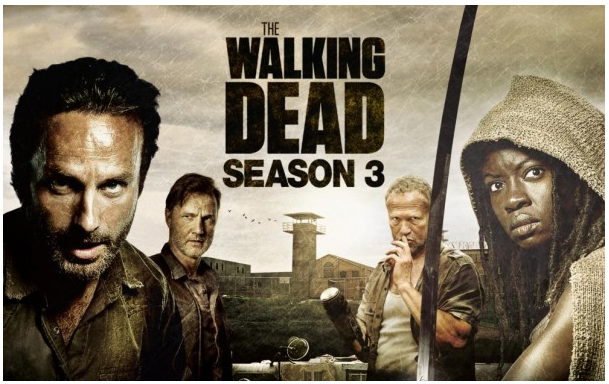 We started with season 3 of The Walking Dead. Great start of the season and right away me and the missus are hooked. So much that we watch into the early hours of Saturday morning. Great start of the weekend if you ask me. Saturday is always a busy day for the missus as she buys new products for he business. With me “tagging” along we have a very busy day. I “tag” along with her a lot and I enjoy it. Her business is growing so fast she is unable to supply all demands. Demand overshadows stock which is not a bad thing if you ask me. She is already thinking about expanding the business even further. Her wish is for me to join her business. I can’t tell you how excited I am about joining her. With episode 4 of The Walking Dead finished we are left hungry for the next episode which will be broadcast tomorrow Sunday the 11th. Sunday, also known as the last day of the weekend. This Sunday I will clean the car and also the garage for this upcoming week when hopefully we have our new car. I am having a blast with my holiday. Sadly I only have about one week left. The time you have to do things and especially regarding Amiga stuff is just amazing. I got to write a lot so far and played endlessly classic Amiga games. But currently most of my time is going in to Aros. Especially programming for it is getting a lot f my attention. I am still trying to get MUI experienced. 🙂 If you read some of my other Aros postings you know that I love the fact that it runs on cheap hardware. This is a deciding factor for me and for many others I guess in these times. I just don’t have the money to purchase OS4.x hardware and even if I saved up for it (that would take some time if possible) I could not justify this to the home front. Based on the purchase price for hardware you could line up the three OS’s as follow: Aros, MorphOS and OS4.x. I would love to be able to run all three to get some comparison done. So far I can with Aros and OS4.x but I would love to add MorphOS to it. I hope I could buy some cheap hardware next year to run MorphOS. I guess my best bet is a Mac Mini. With Aros also becoming available for all SAM hardware one wonders what this will stir up. In the Amiga world cooperation and friendliness don’t really work as can be seen from the past. Aros is really (I know it has been there for some time already) getting some momentum at the moment. It is maturing, runs on several platforms and not to mention on cheap hardware. But now it is making it’s appearance on OS4.x PPC hardware and I cannot help thinking what will happen between those two “camps”. Sure no one will buy SAM hardware to just run Aros but having the ability to do so is a big plus. I can’t help thinking that the legality of Aros will be put up for discussion. You just know there will be trouble. It will be curious to see when the first signs surface and till what extend this will be pursued. I am currently working on a series of articles under the topic “After the collapse”. These are articles about the collapse of Commodore. The build up to it and what happened after the liquidation. This will bring back some memories to us Amiga fans. I probably have the first article posted this coming week.